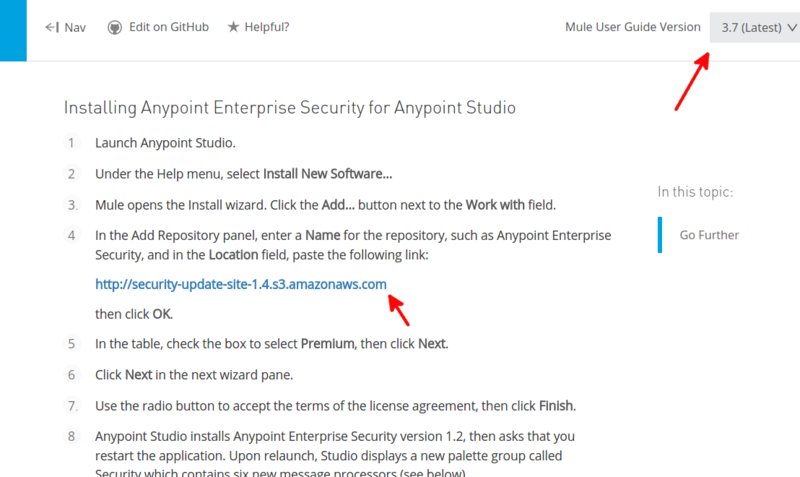 I had been battling with cryptic error from Mule Anypoint Studio for several days banging my head against the wall.I tried uninstalling and reinstalling Anypoint Studio and also tried Eclipse with the Anypoint Studio plugin. All to no avail. In the end, the solution was simple. I had installed the wrong version of the CRC32 security connector! and Googled for hours trying to figure out what was wrong. I had this working a few weeks ago so I knew I must have been missing something. The documentation that Mulesoft provides is of a very high quality. It gets you off to a great start and is very easy to follow. It is also very easy to access which is a great plus. Just remember not to make the same mistake as I did and read the right docs for the version you are using!